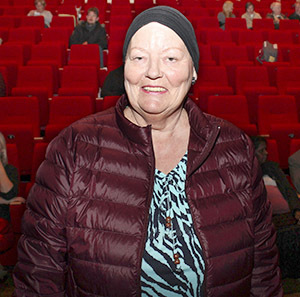 NEW LUNGS: After twenty years of asthma Ruth Kongshaug from Ålesund can take a deep breath. It happened after receiving prayer by Svein-Magne Pedersen in Ulsteinvik in September this year. When Ruth Kongshaug was 17, she began to smoke. The consumption of cigarettes increased over the years, and at most she smoked twenty cigarettes every day. After over twenty years of smoking, something dramatic happened. -I was sitting there smoking when suddenly something «smashed» in my lungs, and I had difficulty breathing. We went straight to emergency immediately. I almost hung out the car window to get air, and I was very sick. At the doctor's office it was very quickly confirmed that she had asthma and allergies. Ruth was given both asthma tablets and spray that she had to use. Every day she used four different asthma medications. -I became very tired from the medication, and it was very hard to breathe. It felt as if I had a lid in my throat. At the same time my body and lungs reacted to the weather. Where we live it is very windy and foggy, and my throat would start to surkle and I got colds very easily. When I first got sick, I was bedridden and on antibiotics for many days. 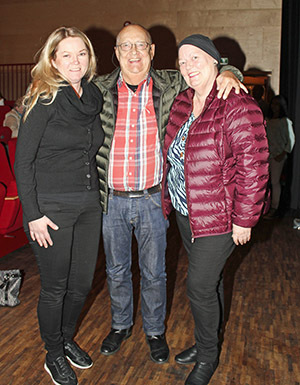 On Sunday September 15 her family made the trip to Sjøborg kulturhus in Ulsteinvik where Svein-Magne Pedersen had a healing service which was organized by Ulsteinvik Bibelsenter. -It was a good atmosphere in the meeting. Many testified that God had touched them. I thought that everyone else gets healed, but not me. Suddenly a Bible verse came to me: «Jesus Christ is yesterday and today the same, yes, forevermore.» When I looked up, the very same verse was on the large screen in the meetingroom, and I got new faith and boldness. Later in the meeting Ruth received prayer. When Pedersen prayed for her, she felt a great warmth. Suddenly it was as if a lid was removed in the upper part of her throat. -I could breathe deeply, something I have not been able to do for over 20 years. In the time that followed I have not used medication. I have also been outside in both wind and rain, without getting sick. It's a whole new life for me, and it is fantastic what God has done. The daughter, Lis Kongshaug is also happy that her mother's health has been restored. -I notice a great change in my mom. She is more alert, less tired and her voice has become clearer. Although Ruth got her health back, there are things she is even more happy about. Amongst the forty people seeking salvation in Ulsteinvik were her husband and daughter Lis. -This was the greatest that happened, even though I got rid of the asthma. I have prayed a lot and cried out to God day and night. Now my prayers have been heard, she said with tears in her eyes after the meeting. -There is a new atmosphere in our home now. I am so happy for what God has done! FAMILY JOY: Ruth Kongshaug rejoiced over her husband, Aage Andersen and her daughter, Lis, seeking salvation. Ruth was also healed of asthma, while Lis was healed in her back. Åge also experienced improvement to his health.